If you have a Kindle or the Kindle App on your tablet or phone, you can read today's pick for free. Get it now though before the free offer disappears. Here is our Free pick of the day for your reading enjoyment. 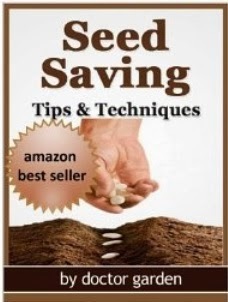 For those growing an organic garden, there is nothing more enjoyable than picking and saving seeds in order to plant them at the appropriate season. And this is just a small portion of what the book contains. In this manual are tips and techniques from over 20 years of experience, simple explanations, and illustrations.